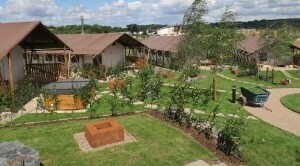 Love2Stay aims to create an environment which is in harmony with nature. Guests have predominantly been young families or active grandparents with grandchildren this summer. 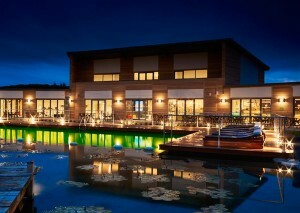 The resort is also hoping to provide twoday packages for the corporate hospitality market. As daily lives become dominated by technology and children are easily glued to i-pads and the Internet, Love2stay aims to create an environment which is in harmony with nature and where guests can experience the grass between their toes. 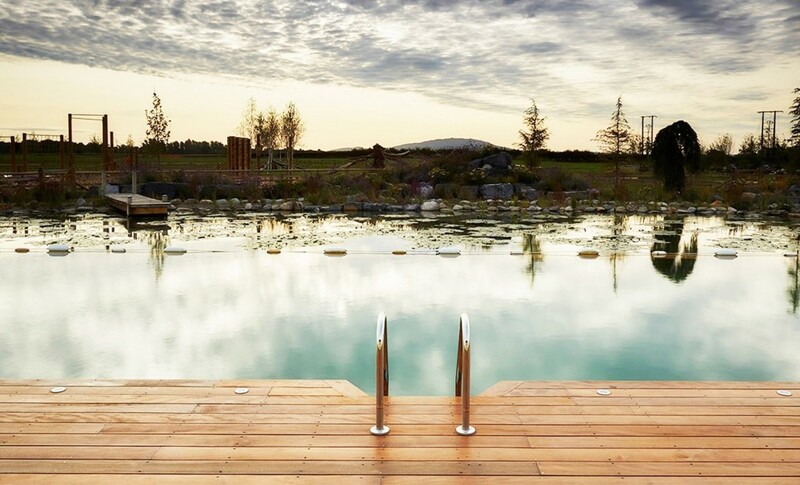 The stunning centre piece is a natural swimming pool which is flanked on three sides by spacious teak decking and thermal hot tubs, sunbeds and seating, where guests can enjoy light refreshments from the in-house coffee shop. This pool was designed and supplied by Poolscape Ltd in collaboration with multiple RHS Gold Medal winning landscape design practice, MOSAIC. The team used the latest technology from Austrian natural pool specialists BIOTOP to offer swimmers crystal clear, chemical free water, which is naturally filtered. During the evening, the indoor and outdoor area turns into a trendy Italian eatery, with most dishes being cooked in the huge woodfired pizza oven. There’s also a cinedrome where guests can relax and watch films. For more energetic guests, complementary access to the on-site fitness suite is available and a marine style assault course is a must for adrenaline seekers. Regular yoga, pilates and meditation classes are available together with a menu of spa treatments for a more holistic experience. Upon placing a booking, guests receive an activity diary offering the opportunity to pre-book activities such as paddle-boarding, kayaking, raft building and a range of sports. They can learn a wide range of bush-craft skills with an in-house forest ranger, including foraging, survival skills and there’s even a teddy bears picnic. A recreational fishing lake, an adventure playground for children, craft activities, animated storytelling, super hero yoga, a barefoot sensory walk, den building and a woodland hideout are also on the list of things to try. Advance bookings continue to pour in for Shropshire's new £6 million caravanning and glamping resort.